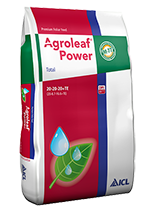 The advanced foliar feed that boosts crop productivity. What makes Agroleaf Power unique? 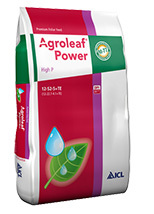 •	Agroleaf Power is different from most foliar feeds because of its speedy uptake, high purity and exclusive M-77- technology / DPI-complex addition. •	The effect of Agroleaf Power can already be seen a day after application. The effect of a deeper color, healthier appearance and more growth lasts longer due to the added power booster. •	The purity of Agroleaf Power is proven by its high nutrient content. No chlorides are used. 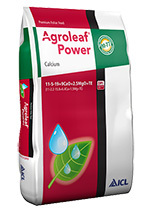 •	High N, High P, High K, Total, Calcium and Magnesium products offer a total season solution. There is a product for every growth stage. What is M-77 and how does it work? The Everris research department keeps improving the M-77 package. High- quality base materials are the starting point, but M-77 takes nutrition a step further. M-77 is an exclusive package of compounds that have defined purposes.